4	stars -	"Review for FCS Smart Screw" Mark Taylor This FCS Smart Screw is the best Stainless Steel Bits I have tried. 13mm x 13mm stainless fin plate with 4mm thread, with 20mm M4 (4mm) stainlessfin screw to secure US base fin. Use FCS fin key to fasten. 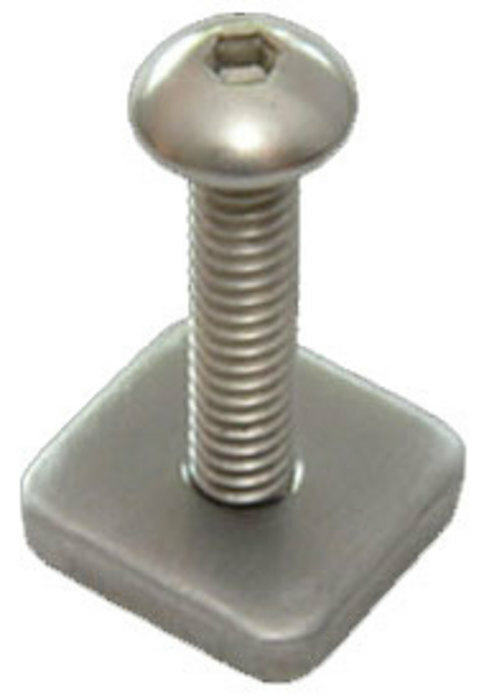 13mm x 13mm stainless fin plate with 4mm thread,with 20mm M4 (4mm) stainlessfin screw to secure US base fin. Use FCS fin key to fasten.